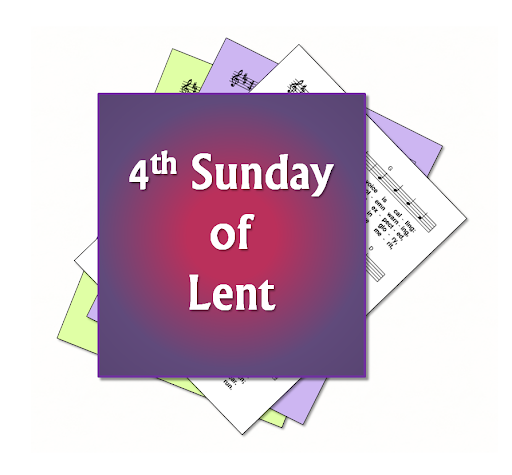 A selection of hymns and song suggestions, based on themes from the Roman Catholic lectionary for the fourth Sunday of Lent, Year A. A small selection of copyright hymns may also be included, where they are particularly relevant. First: Samuel - Samuel is sent by the Lord and anoints David King of Israel. Psalm 23 - The Lord is my shepherd there is nothing I shall want / He guides me along the right path / You have prepared a banquet for me / Surely and kindness shall follow me. Second: Ephesians - Wake up from you sleep and rise from the dead, and Christ will shine on you. Gospel: Matthew - Jesus heals the blind man. Jesus shepherding us from the darkness into light: healing and reconcilliation, light.